Rumors are again flowing loop and corner about Spiderman series. This time, the new buzz is about the role of peter parker. 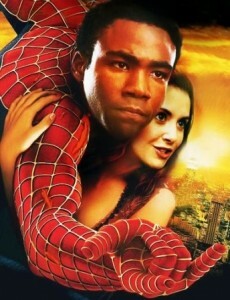 Donald Glover has started out campaigns in twitter and facebook to give him the role of Spiderman in the upcoming spiderman film to be released on 2012. Mr.Glover is a TV star and acted shows like 30 rocks. He demands all of the comic loving fans to help him achieve his Spider man dream.